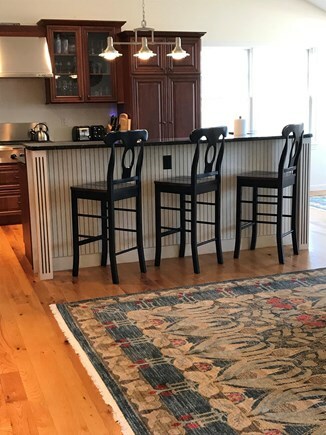 Located across the street from Sengekontacket Pond, steps away from public access to boating, fishing, kayaking and beaches, this reverse style, contemporary home offers an open floor plan with living/dining and gourmet kitchen all blending together for enjoyable casual living. 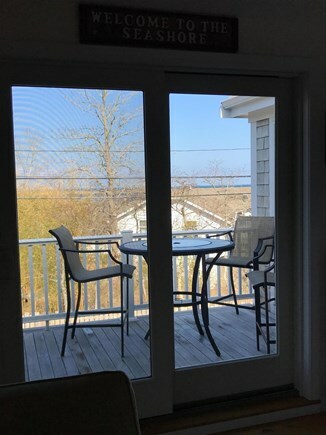 Multiple sliders offer access from the living room and master bedroom to the balcony deck for quiet nights watching the stars over Sengekontacket Pond. 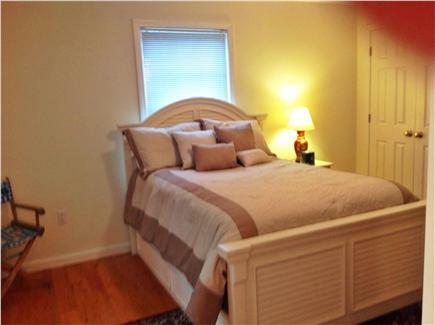 There are three master bedroom (each with its own bathroom), two on the first floor and one on the second. 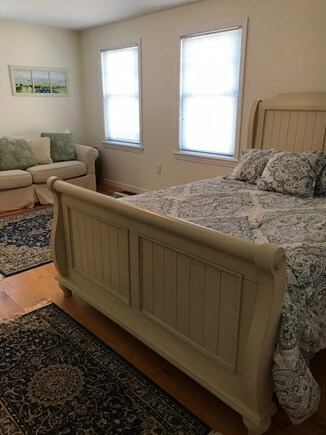 Also included are a gas fireplace and central A/C with first floor washer and dryer, Internet access, cable TV, and an outside shower, as well as a large, fenced in yard. 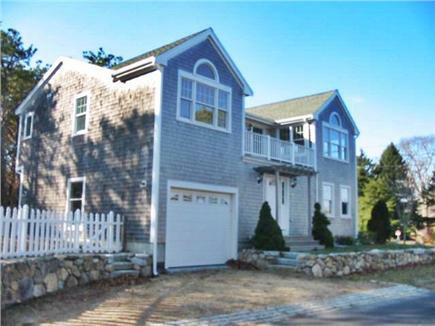 Ocean Heights is a quiet, family-friendly neighborhood, which is centrally located off the Edgartown-Vineyard Haven Road. Walk from the house to pick up the Island VTA shuttle bus for access to all Island towns, or bike easily to the nearby bike path. In addition to the small beach on the Pond (offering kayak rentals), beautiful State Beach is just a short drive away by car - or kayak across the Pond to it! 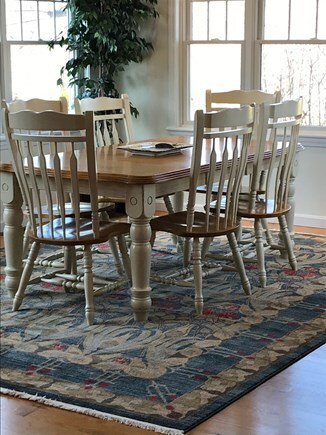 Additional availability info: This is a Friday to Friday vacation rental. Additional pricing info: State and local taxes of 9.7% will apply. 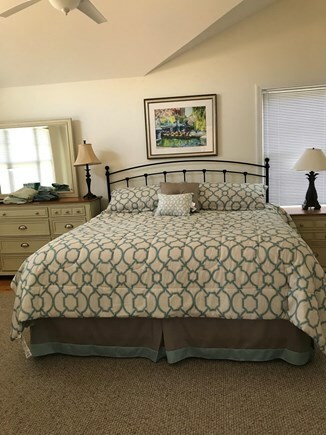 2nd Time- Another Fantastic Stay! 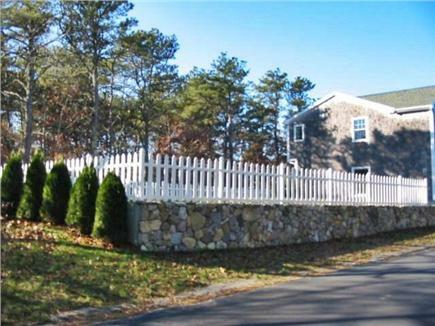 We have been visiting the Vineyard for years and recently purchased this home. We are excited to share it with you. 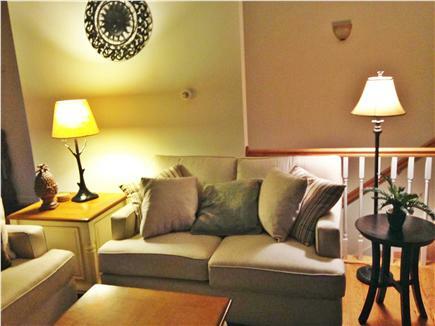 The previous owner also rented the property and we hope to welcome repeat renters. This is a comfortable, well appointed home. Each bedroom is ensuite. The location is near the bike path and bus route. There is easy access to all island attractions.